Are you ready for your LAST KISS at Dairy Queen? 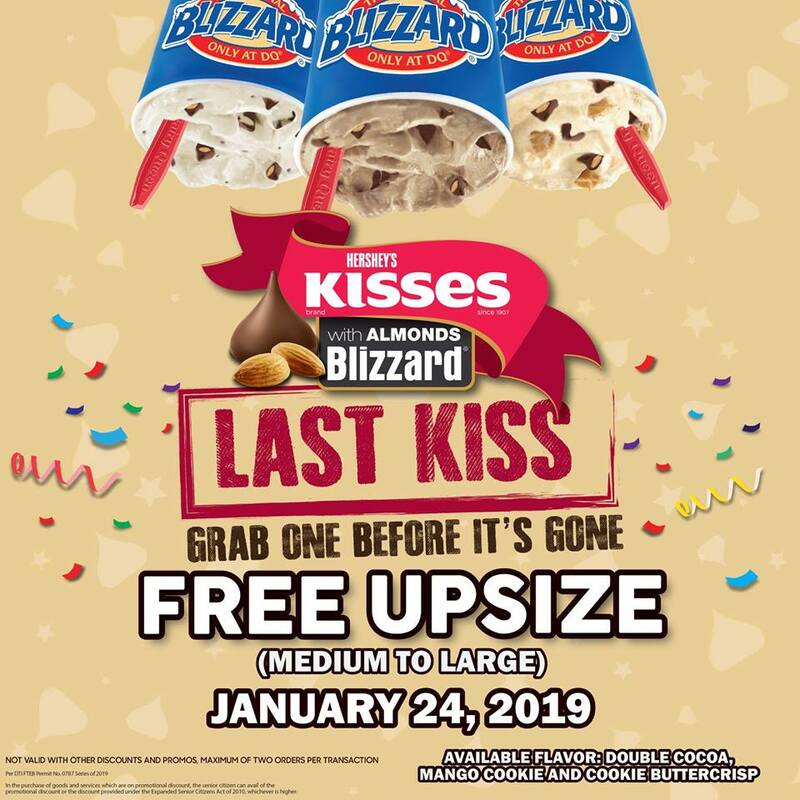 Tomorrow, January 24, DQ is saying goodbye to Hershey's Kisses Almonds Blizzard 😢 with Dairy Queen's Last Kiss Promo! 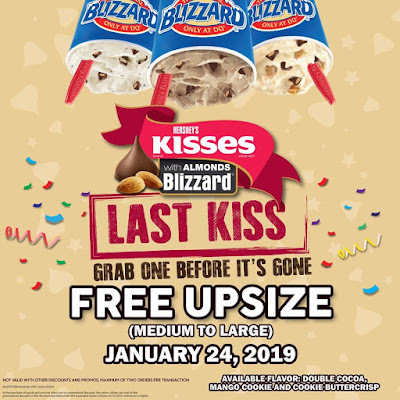 Just purchase a medium Hershey's Kisses Almonds Blizzard and get a Blizzard Upsize to Large for FREE! Promo is valid on January 24, 2019 only in Dairy Queen stores*. Visit Dairy Queen and grab Hershey's Kisses Blizzard before it's gone! *Promo not valid with any other ongoing promotions.